Hey all! I am back!! Sorry for the absence, too many good books to read!! However, I am back with a great book that I am happy to share my review on. I had the privilege to read an ARC copy of Unwanted Attention and all I can say is WOW! It is HOT!! It also has a great story with great characters and lots of suspense. 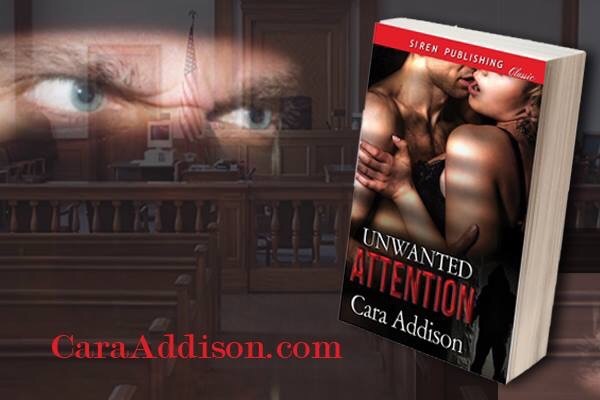 I am new to Austin and Brett’s story, I haven’t read the Fortuitous Pen, but I am thinking I have to now after reading Unwanted Attention. So, Unwanted Attention takes place a year after Brett and Austin are married. They recently had a daughter after a traumatic birth experience for Austin. Austin is a romance novelist; writing under the name A.C. Madison. She hasn’t publicized the birth of her daughter to her fans. Her and Austin would like to keep that part of their life private. However, Austin receives an email that tells her that one of her fans know about baby Ella. As the contact goes on, Austin realizes that her stalker is now following her in her real life. Austin and Brett go to the police with the information. The police are investigating, except her stalker continues and gets bolder. Austin and Brett go to California for Brett’s work and to remember where and how they met. Her stalker continues to try to contact her and eventually breaks into her home. This is where Brett draws the line, he sends Austin to Canada for her protection until the trial. However is she protected there? The rest of the book is a page turning, heart stopping thriller. Lots of suprises in the end, some good and some really bad. Overall, it made for a great story. I couldn’t put it down and read it on a Sunday morning. My only complaint is Brett sometimes seemed so tough and alpha and other times, he surprised me with his actions. He didn’t always try to protect his wife like I would have expected. I can’t give the example that surprised me the most as it would be a major spoiler, but if you read the book, it was the final courtroom scene. Maybe I have read too many military alpha books lately, but Brett’s response wasn’t what I expected. Doesn’t affect the story in any way, just my thoughts after I finished. I still liked Brett. Let me tell you that Brett and Austin are hot for each other. Holy moly! The passion between these two cannot be denied. The story doen’t include a storyline where Austin and Brett are fighting or denying of the passion between these two, but they are HOT! HOT! HOT! anyways.